While the premium mouse market is still filled with products that insist on throwing every bell and whistle they can find at us in their attempts to woo us, the more expensive keyboards of today seem content to stay somewhat more refined. Products like the Mionix Zibal 60 and Ducky DK9008 Shine 2 cost upwards of £100, yet have just a standard key layout and very few extras. 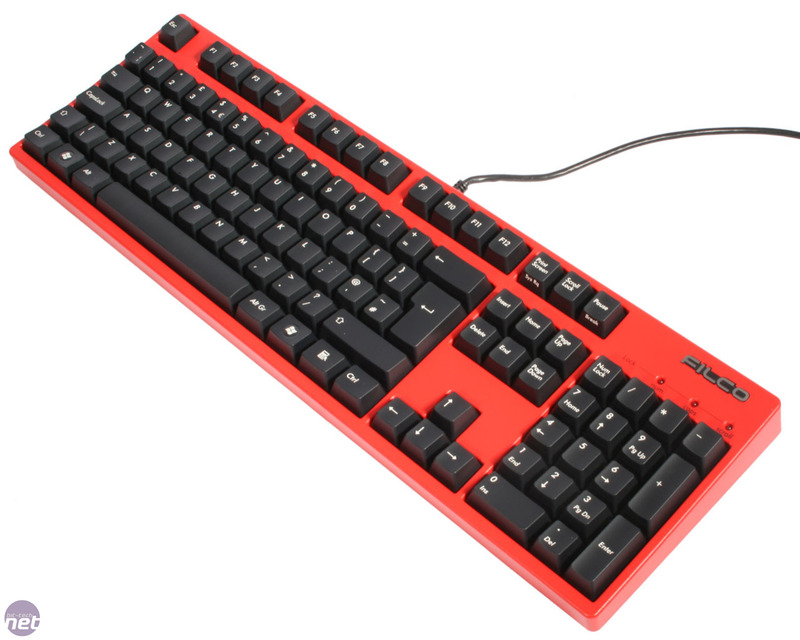 With that in mind, enter the Filco Majestouch 2, manufactured by Japanese firm Diatec. Though Diatec is relatively unknown on these shores, its Filco brand and its mechanical Majestouch keyboards enjoy a large presence in South East Asia. 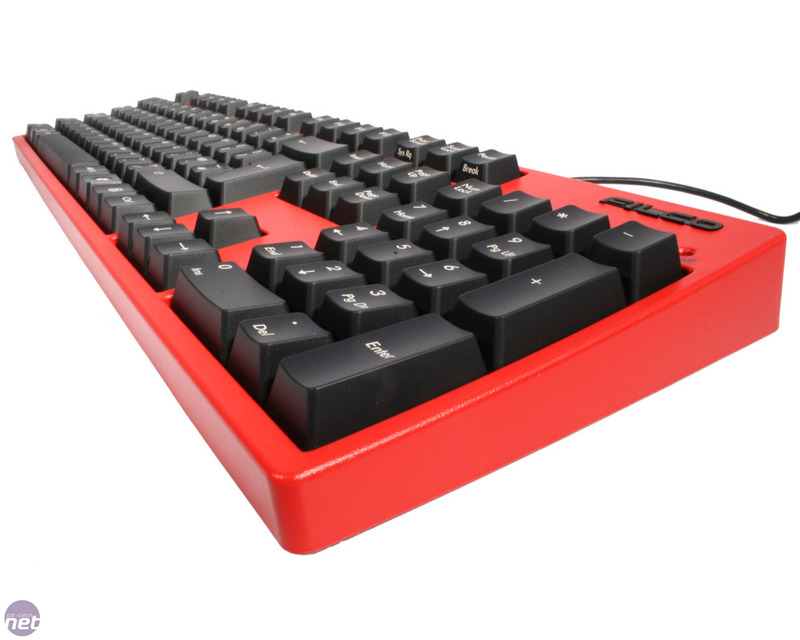 The Majestouch 2 was first released about 18 months ago, and is available in a variety of colours and layouts. 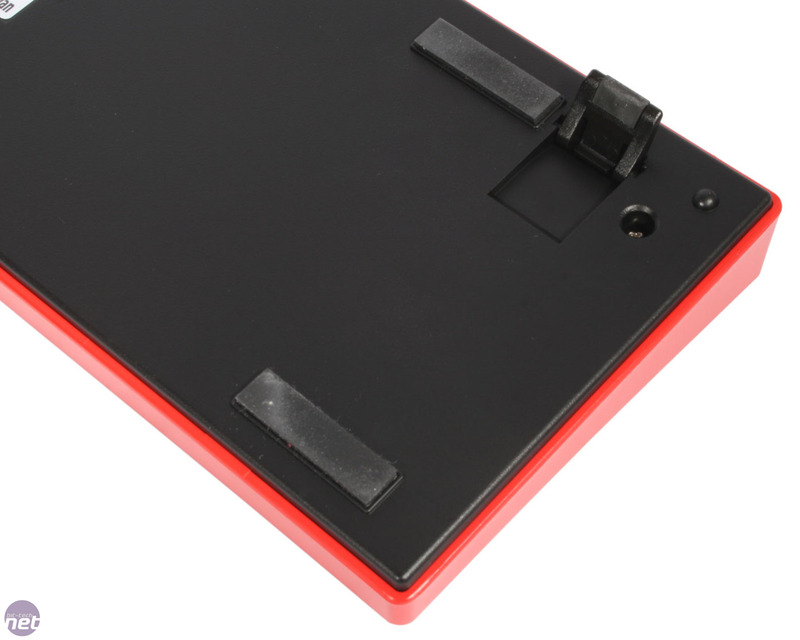 As you've probably already seen, our particular sample sports a bright red chassis and black keys. The bold colour scheme allows the Majestouch 2 to stand out while still remaining rather plain practically speaking. It won't be for everyone, and will instead either match the rest of your setup perfectly or hardly at all. For those put off, a more standard all black edition, which would be a strong contender for a plainest keyboard award, is also available. 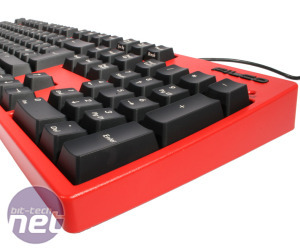 Coming in at £132, the Majestouch 2 is one of the costliest keyboards we've come across. Given that the aforementioned all black edition can be had for £120, the pricing does seem a little high, as £12 for a painted chassis feels rather steep, but we must admit that the finish on the red section is excellent. To describe the Majestouch 2's feature set as light is an understatement. The keyboard lacks backlighting, media and macro keys and even a wrist rest. In fact, all you'll find inside the box is a USB to PS/2 adaptor. We're not overly fussed about missing extra keys, but many of us are partial to a wrist rest here at bit-tech, and backlit keys are also handy, so it's easy to feel a little short changed given the price tag. That said, the Majestouch 2 has a really nice weight to it and its solid construction is indicative of its truly excellent build quality. 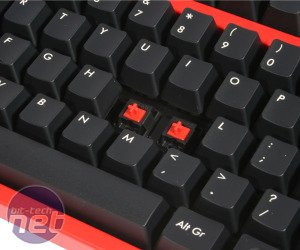 A contributing factor to the hefty price tag is no doubt the use of red Cherry MX switches (as seen in Corsair's Vengeance K60) beneath every key. 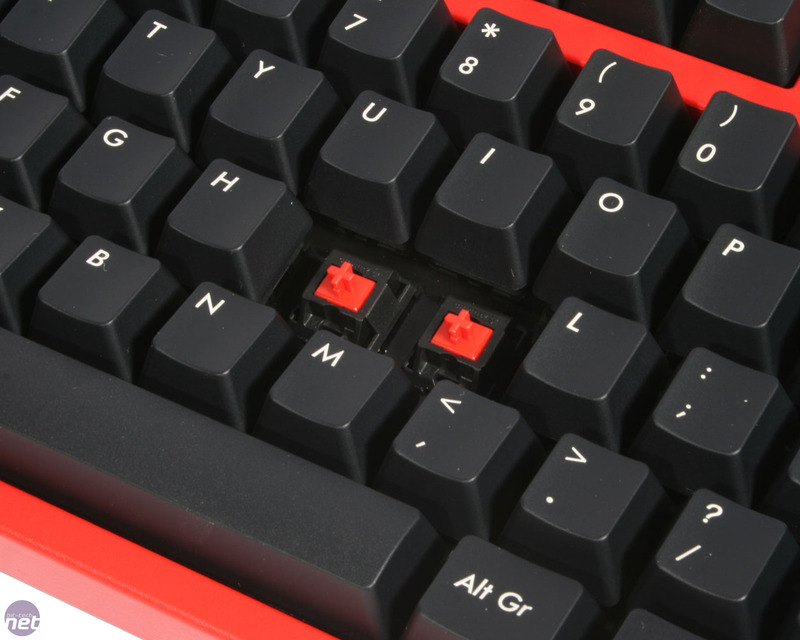 As they're essentially a lighter version of the linear Cherry MX black switches, they exhibit no audio or tactile feedback. The keyboard also sports n-key rollover, such that every key press is registered regardless of how many others are pressed concurrently. 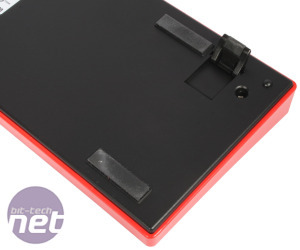 Thanks to their red switches, the keys require just 45g of actuation force to be pressed and only need to be depressed about halfway before registering. As with the Vengeance K60, their lightness and sensitivity is strange at first, and being the ogres that we are we initially found ourselves using more pressure than necessary. Once we got used to it however, our experiences in typing and particularly gaming were wholly positive, as the smooth action of the keys and the absence of stickiness meant we were able to fly around the keypad with ease. While your own feelings will vary depending on personal taste, we could quickly feel ourselves warming to what the Majestouch 2 had to offer. With its wallet busting price tag and bold styling, the Majestouch 2 immediately creates a barrier to entry and a niche market for itself. It's built like a boulder and the typing experience it provides is first class too, but its lack of features takes the phrase back to basics to a new meaning. It's in no way a sensible purchase for most people, but those whose financial concerns revolve around chauffeur fees rather than train fares will know by now if it's the keyboard for them. 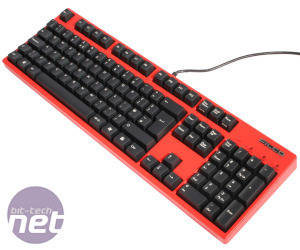 For everyone else, Corsair's Vengeance keyboards or the Ozone Strike are more realistic starting points for making the jump to mechanical keyboards.